Pre- and postnatal exercise specialist Mahri Relin shares safe and effective moves you can do throughout your pregnancy. It can be difficult to find exercises that are safe but that also challenge you when you're pregnant. 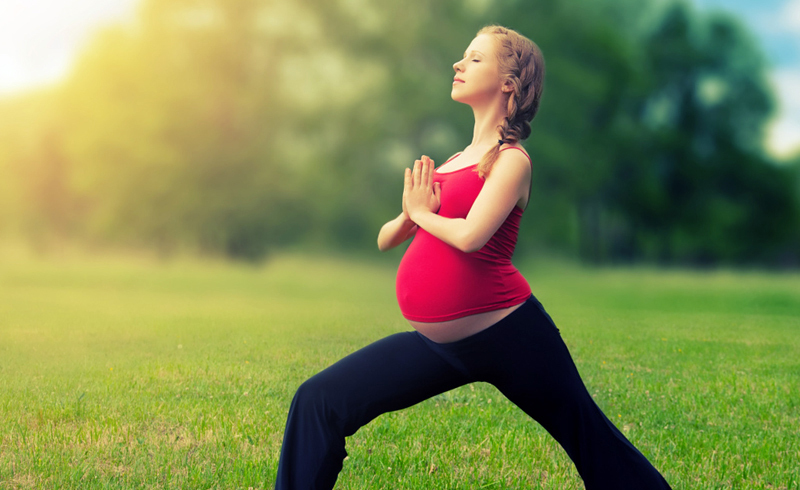 Here are some simple yet effective exercises you can do at home throughout your pregnancy. Be sure to get your doctor's clearance to exercise, and avoid any exercises that feel uncomfortable or cause sharp pain. Your body will tell you everything, so listen. Every pregnant body is different. Lean forward, reach above your waist behind you with your palms facing the ceiling. Keep your shoulders down and your chest reaching forward. Bend your knees slightly if you're standing. Pulse your arms up and down 30 times in this position. Because your center of gravity changes as you get more and more pregnant, it's helpful to stand in front of a table or ledge to rest your hands. Stand with your legs open slightly wider than the hips and with your toes turned out approximately 45 degrees. Try to keep your shoulders open and relaxed and your chest lifted, and do not lean forward through your pelvis. If the exercise feels too difficult, straighten your legs for a few seconds before continuing.